Killarney Guided Tours is the industry leading, award winning provider of professionally guided & fully chauffeured, private, small group tours and shore excursions throughout Ireland. Whether your private group of family or friends wants to tour "The Wild Atlantic Way," "The Ancient East" or anywhere in between, we truly believe this is your well deserved Irish adventure. Understanding your time on this breathtaking Island is precious and that each group is unique, our mission season after season has been to tailor a vacation with your Irish dreams in mind. Specializing in creating customized tours for both small groups or solo travelers looking for that one-of-a-kind, private, executive touring experience at a reasonable cost, we allow you to set the pace. No matter if you have a day or an entire week to spend with us on the Emerald Isle, we will ensure your time is always "Your Tour - Your Trail"™. Knowing your group may span generations, with interests as diverse as the landscape of Ireland, we handcraft your Irish adventure allowing you to choose what you would like to see and do from a wide range of activities and unlimited places of interest. Or trust our years of experience and simply choose from our proven Day Tour Itineraries, such as The Dingle Peninsula or Ring of Kerry Tours, a Shore Excursion from your cruise ship, or from one of our guest favorite Specialty Tours such as the Photography Tours. We thrive on sharing our knowledge gained from living in this spectacularly, beautiful area so steeped in culture, history and folklore. Rest assured, our top priorities will be your safety, security, comfort traveling in luxury and, perhaps most importantly, your complete enjoyment during your vacation. The possibilities are endless, whether choosing a single day tour or one of our multi-day options. The best dates book fast, so find more info on the Tour page and contact us early for your 2019 reservations! Let Killarney Guided Tours help you build memories to last a lifetime on "Your Tour- Your Trail"™. Killarney Guided Tours recognizes both your family and your vacation is essentially in our hands while you are our guest. Accordingly, we proudly ensure you are not only driven in luxurious comfort by commercially licensed and insured drivers, but that you are also guided by badged, Irish National Tourism Board guides. Having obtained Failte Ireland tour guide certification and seal of approval, Killarney Guided Tours’ guides are as qualified on the trail or off the beaten path as they are behind the wheel. After all, you are hiring more than a driver for the winding Irish roads, you are looking for a professional tour guide in this magical land. 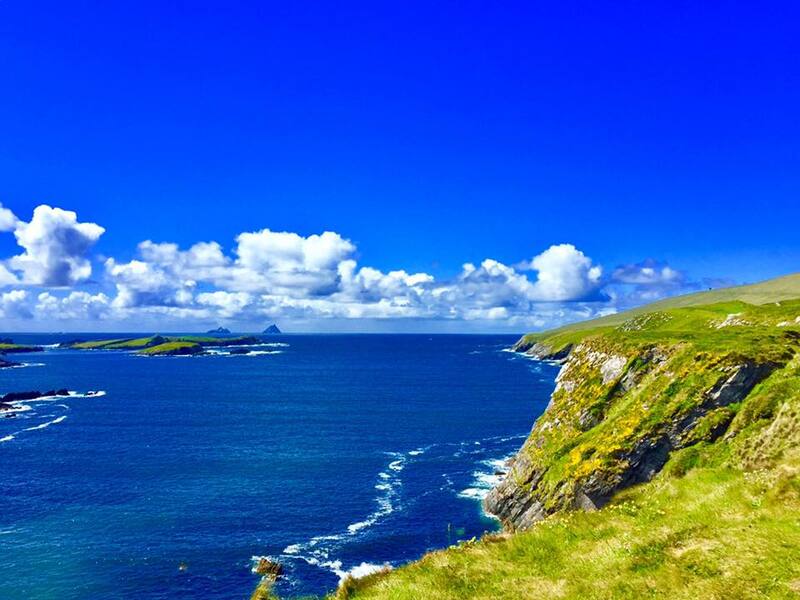 If you can dream it, we can make your Irish vacation dreams come true! Email today and get "Your Tour - Your Trail" on the Emerald Isle underway!